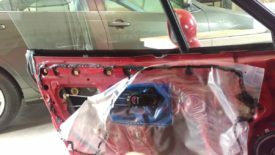 Posted 1 year ago on Monday, November 13th, 2017 by James S.
Miatas are known for having slow windows, regardless of whether they’re manual or power, even brand new. Even so, they’ll slow down over time, with two primary fixes. 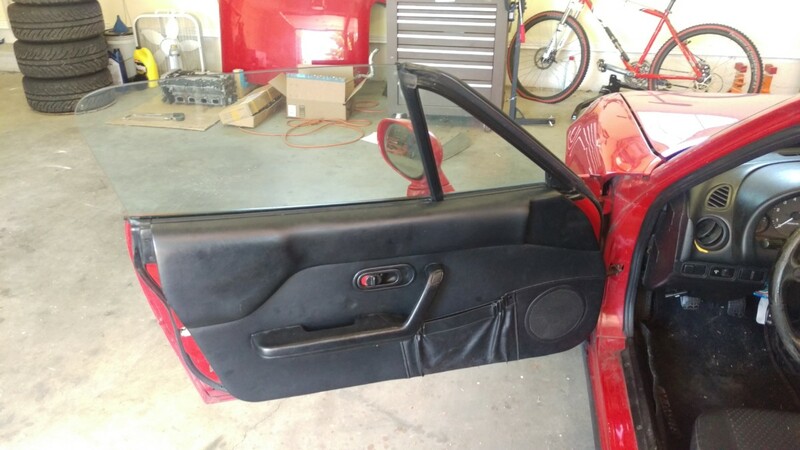 The first is regreasing slow miata windows, as the factory-supplied grease will harden over time. Secondly, if power windows get too slow, they can cause the switch to burn out. Fortunately, the switch can be repaired or replaced. This article will cover regreasing the windows. To properly regrease the windows, the door cards need to come off. 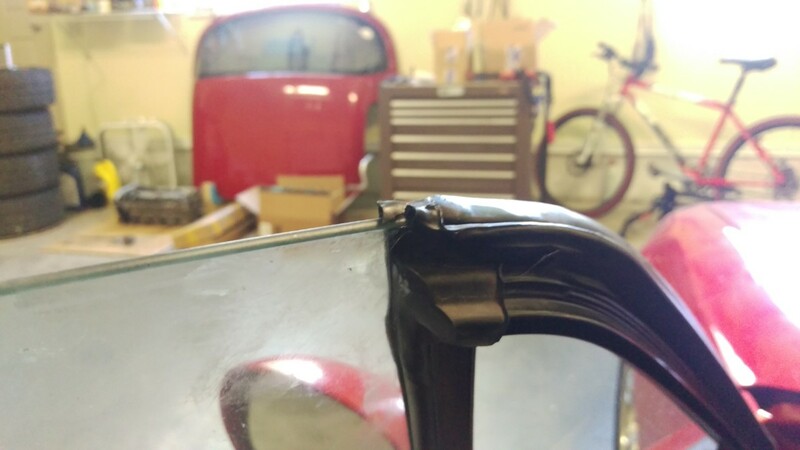 To do this, the handles must first be removed. There are a total of four screws holding them in. 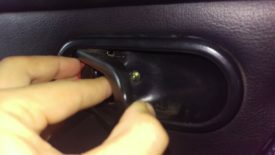 The first is accessed by pulling the handle halfway, as shown. 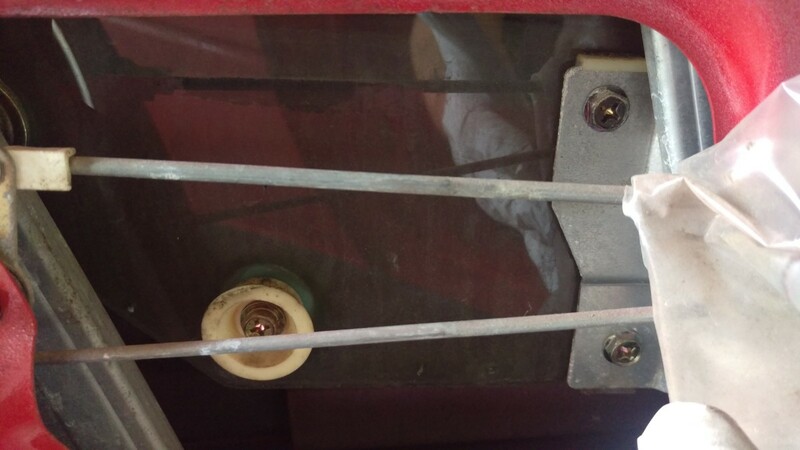 Once the screw is out, the cover plate behind the handle sort of slides off over the handle, as shown. 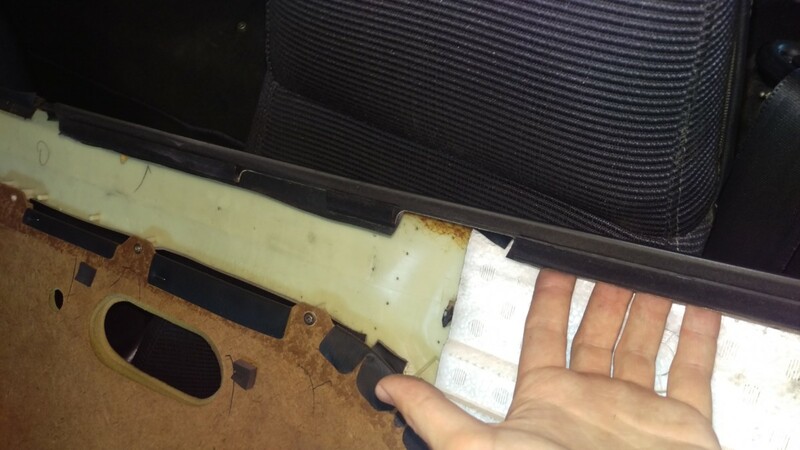 There are also three screws to remove the arm rest. One is behind a plastic insert. This insert can simply be gently pried out with a flathead screwdriver or similar. 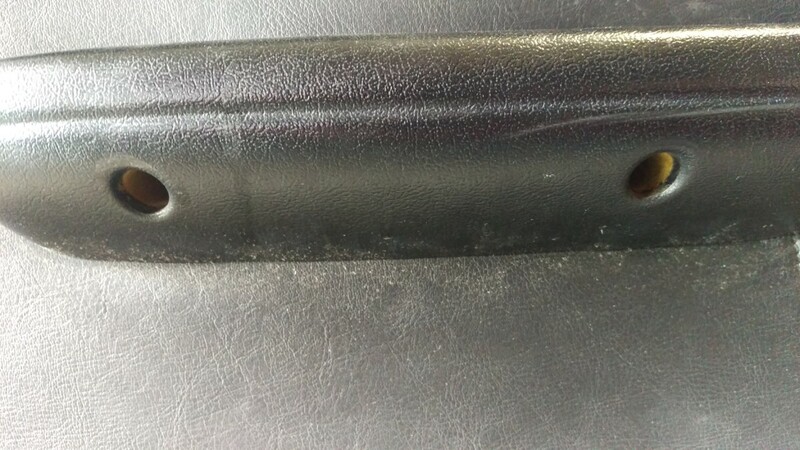 The remaining two are at the bottom of the arm rest. 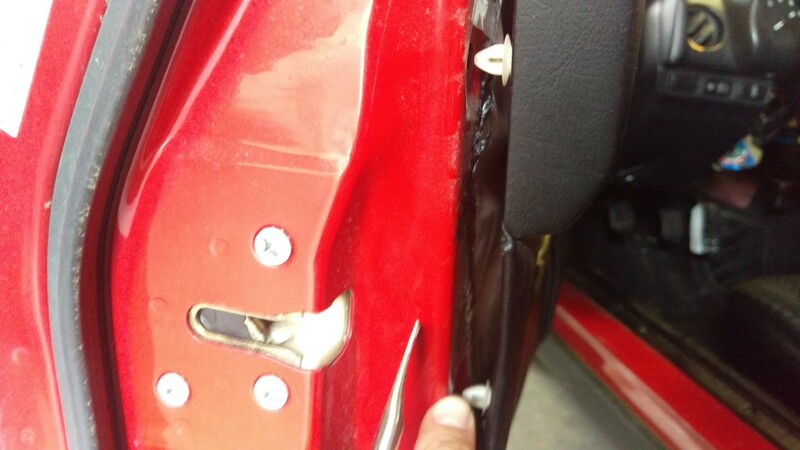 Once the three screws holding the arm rest are removed, it simply pulls off. 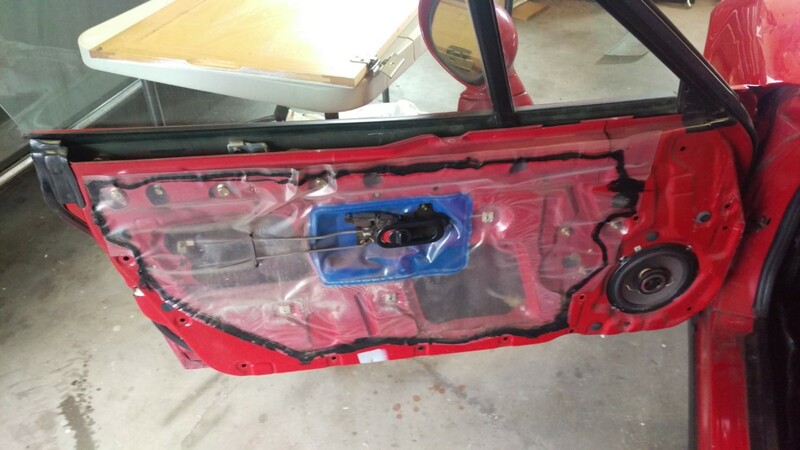 At this point, the only things holding the door card on are plastic rivets. 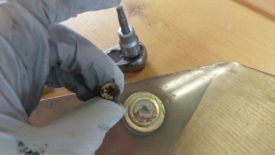 A panel removal tool like the one linked allows you to get behind the plastic rivet and pry it out without damaging it. 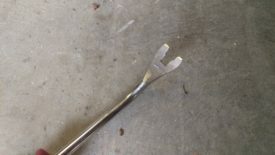 I recommend using a tool like this instead of a screwdriver. 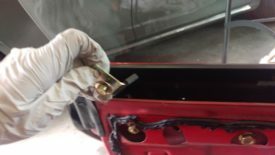 My approach is to pull gently on the door card to find the rivets. 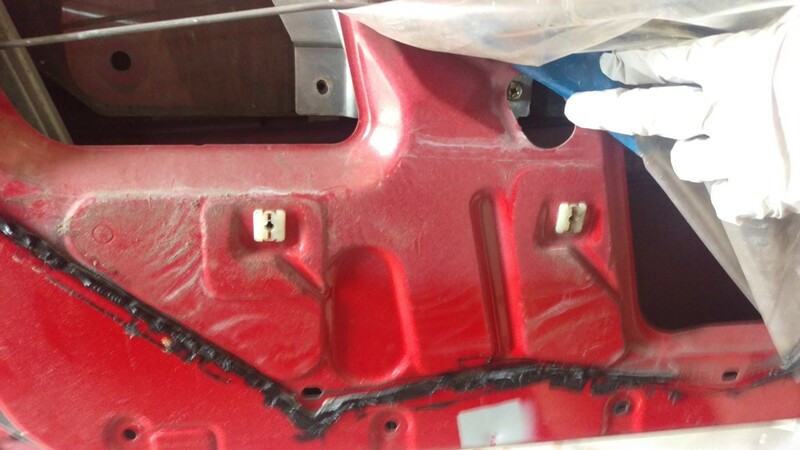 They’re spaced 6-12 inches apart, so areas with some give are between rivets. 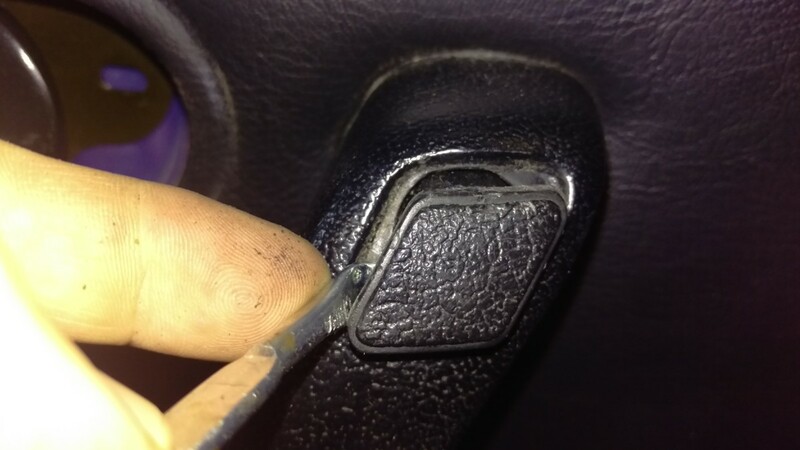 When I find one, I insert the pry tool and pop it loose. 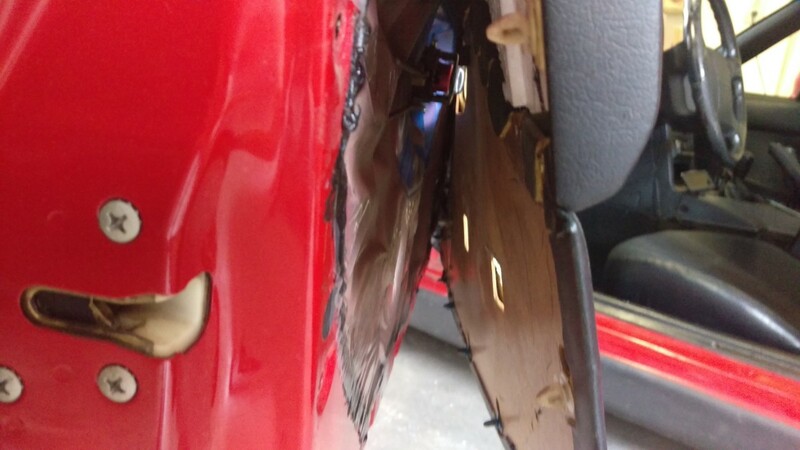 It only takes a couple of minutes to work the entire way around the sides and bottom of the door card. Once all the door card rivets are disconnected, the door card itself can be removed. It simply lifts off of the window sill. 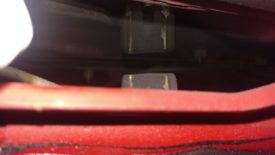 The overhang on the card, pictured, rests on the sill. 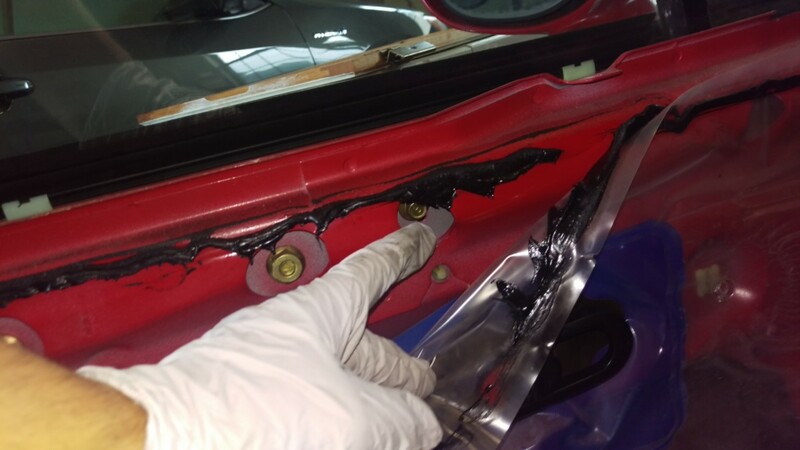 Behind the door card, there is a plastic vapor barrier held to the door with this sticky paste glue that never fully dries. 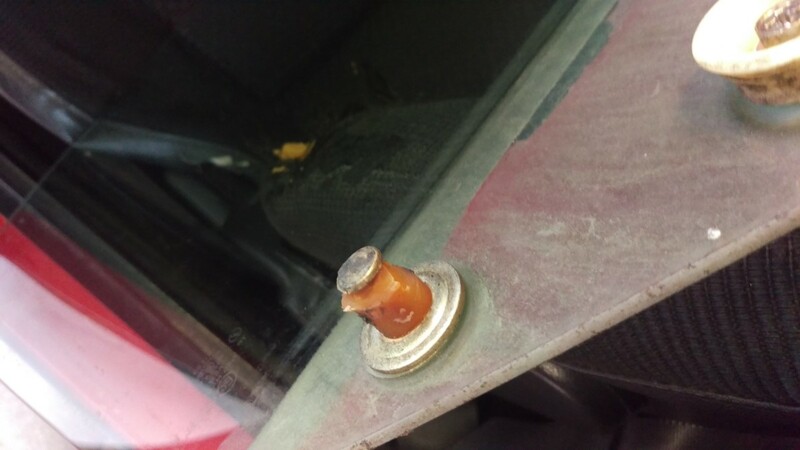 This doesn’t need to be entirely removed, but peeled back enough to get to the window screws. 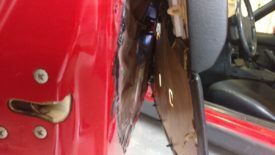 I’ll note here that on the passenger side, somebody instead opted to make small cuts in the plastic to get to the screws. You could do this instead if you want, but it’ll compromise the vapor barrier. You don’t have to go very far with it, as pictured. Wearing nitrile gloves , I simply grab the corner and pull out. Just make sure the goo doesn’t get on you, as it is messy to remove. Now you can unbolt the window. To start, the window needs to be rolled about halfway down, as pictured. 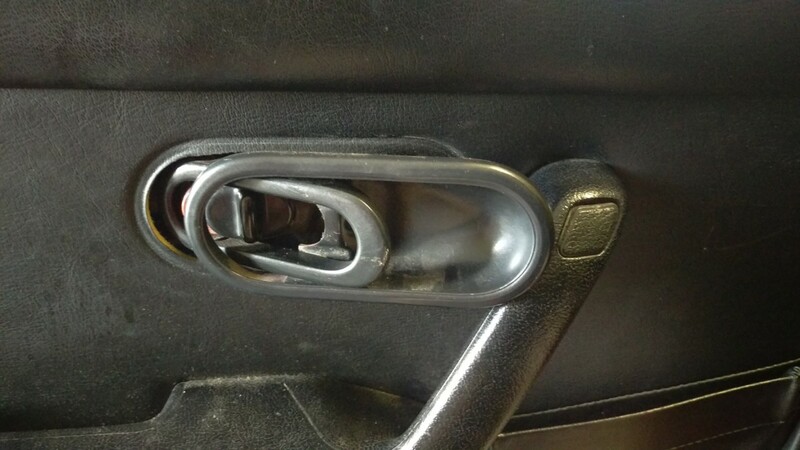 This allows you to access the bolts via holes in the door. If the window is low enough, you can remove both of these phillips head screws on the right. You may have to roll the window up or down slightly to get this one as well. 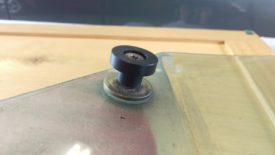 There are also two of these window stops that need to be removed. They are bolted in and limit how far up the window can roll. 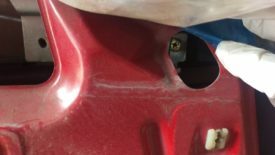 The two bolts pictured hold the stops in. To remove them, hold the stop inside the door and undo the bolt. The stop will simply lift out as shown. At this point, nothing is holding the window in. You can simply grab it and pull it straight up out of the door. 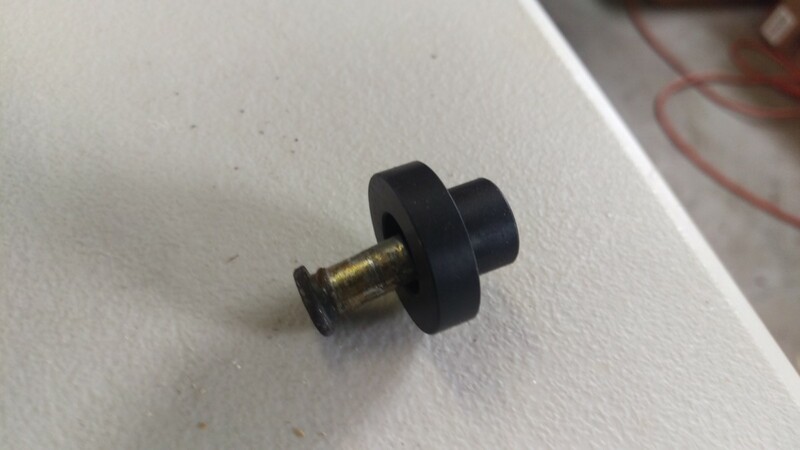 This is the bushing to replace with the rspeed kit linked above. It is supposed to be the same t-shape as the r-speed, but as you can see, they deteriorate significantly over time. The T-30 bit is the correct size to remove the bolt / post thing that holds the remains of your bushing to the window. It simply unscrews as expected. 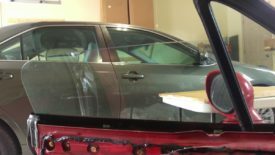 Installed – snug, but do NOT overtighten or the window can crack! The new bushing simply bolts on. The rspeed kit includes a small lock washer, as well, which goes between the bolt and the bushing. 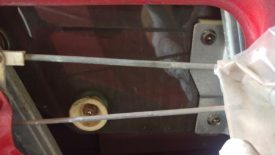 The lock washer, bushing, and bolt should be oriented as shown, where the lock washer will take up some of the slack inside the bushing. 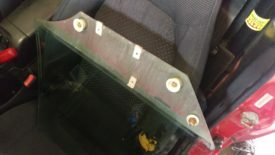 When you install this, do not overtighten, as you can crack the glass. 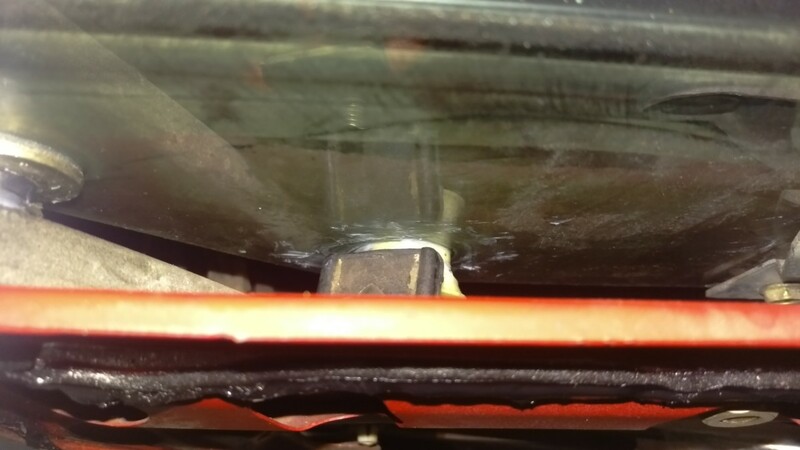 I just snug it down until the bushing is making contact. 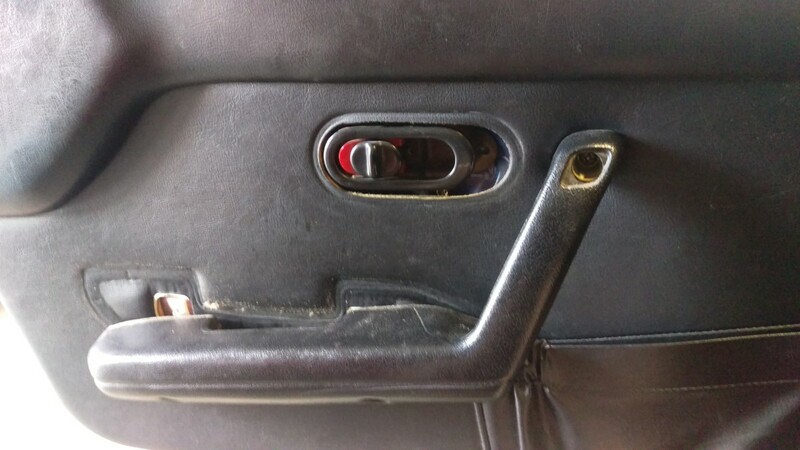 There are two channels in the door like the one pictured. The old lubricant will be hardened to a waxy plastic consistency by this point. It’s good to use anything you have handy, such as a screwdriver, gun cleaning brush, or whatever, to scrape all of this junk out of the channels. 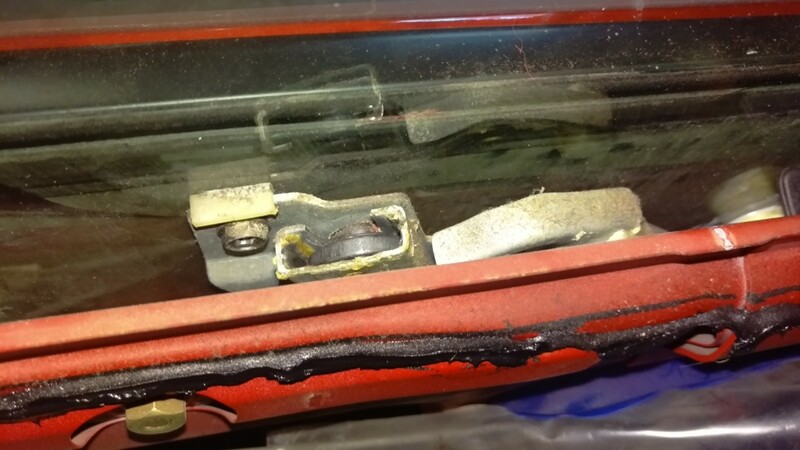 Once the channels are clean, you can liberally lubricate both the channel and the new bushing with shin-etsu grease or the packet of grease that come with the new bushing. 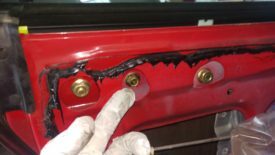 I found that this wasn’t sufficient to really lubricate the track, so I also sprayed dry wax teflon lubricant down the channels. This is a better choice than, say, silicon lubricant because wax lubricants don’t become gummy with dirt and debris. While the window is out, you can also put shin-etsu grease in this track with a Q-Tip. 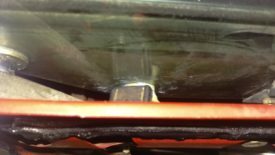 It tends to get dirty, and sometimes fresh grease will help reduce friction on the window glass as well. Reinstallation is the opposite of removal, for the most part. First, the window gets carefully reinserted, ensuring that the bushings line up to their respective channels. Then, reinstall the three screws holding the window in. 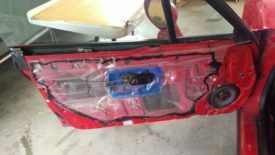 At this point, you can replace the plastic vapor barrier as well. Once you’re here, I recommmend giving the windows a quick check. 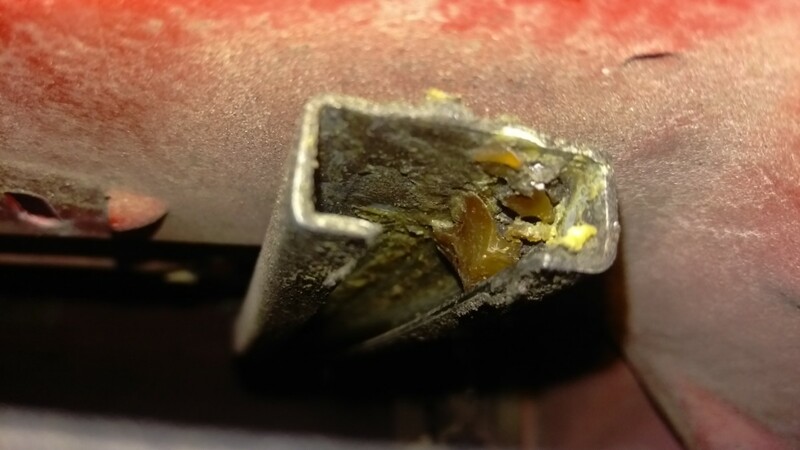 If they’re still slow, try a more liberal application of grease to the track while it’s still accessible. Once you have that back together, you need to reset the window stops. To do this, roll the window up to the highest point you want it to be. I rolled mine up as pictured. 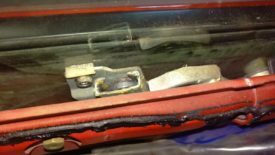 With the window at the top, bolt the window stops back in. This should make the window stop at exactly where you set it in the last step. Once that’s done, you can hang the door card back on the sill, pop the rivets back into place around the edges, and reinstall the handle and cover with their four screws. 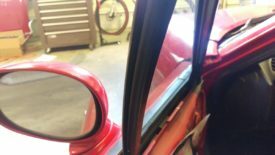 All in all, regreasing slow miata windows is not difficult, and it can drastically speed them up.